Remember these two?? Tangerine and Clementine?? We have all color cats but no ginger ones! Too cute. They are just about as cute now as they were when they were little kittens. Great pictures. They look totally spoiled... as they should be! I am so glad they were adopted together and are enjoying their new home and family! Great photos--it looks like they are thinking of becoming bloggers! That is SUCH good news! They are still very adorable! OMC! It's so good to see them! 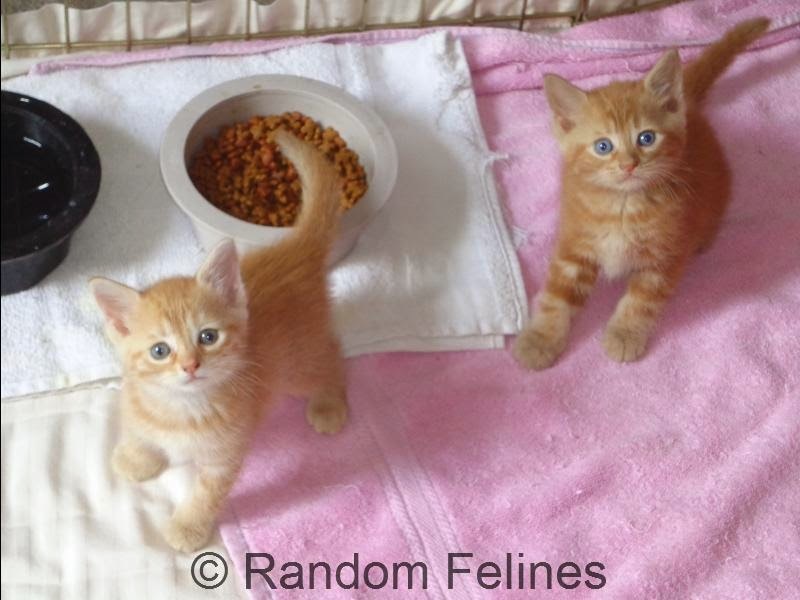 We love seeing kitten updates/happy endings. I couldn't believe how many kittens are already in the shelter this week. How wonderful to get updates on their progress. 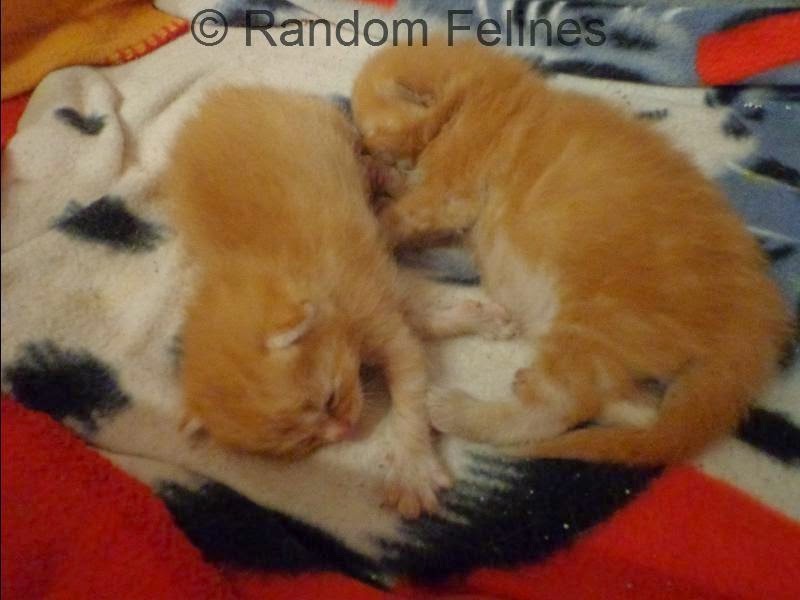 They were so tiny and cute, and they've grown to such beautiful cats. Obviously well loved and cared for!